powerful actors across countries behaved similarly or differently in terms of network properties and corporate governance. 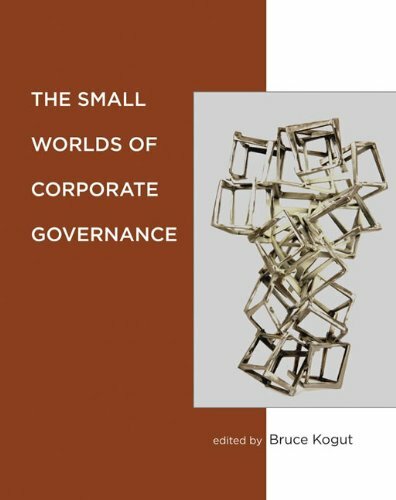 The chapters examine, among other topics, the surprisingly heterogeneous network structures that contradict the common belief in a single Anglo-Saxon model; the variation in network trajectories among the formerly communist countries including China; signs of convergence in response to the common structural breaks in Europe; the growing structural power of women due to gains in gender diversity on corporate governance in Scandinavia; the "small world" of merger and acquisition activity in Germany and the United States; the properties of a global and transnational governance network; and application of agent-based models to understanding the emergence of governance. Bruce Kogut is Sanford C. Bernstein & Co. Professor of Leadership and Ethics and Director of the Sanford C. Bernstein Center for Leadership and Ethics at Columbia University. He is the author or editor of six books, including The Global Internet Economy (MIT Press, 2003) and Knowledge, Options, and Institutions.